Neil MacGregor´s exhibition “Germany: memories of a nation” at the British Museum contains only few objects connected to the immediate postwar years. Nonetheless there are two aspects of the representation of this time which aroused my interest because they explore the unifying tendencies in these few years between the end of the Second World War and the beginning of the Cold War. Firstly, are the pictures of the bombed cities of Europe. What is interesting about these pictures is the way that they are arranged. 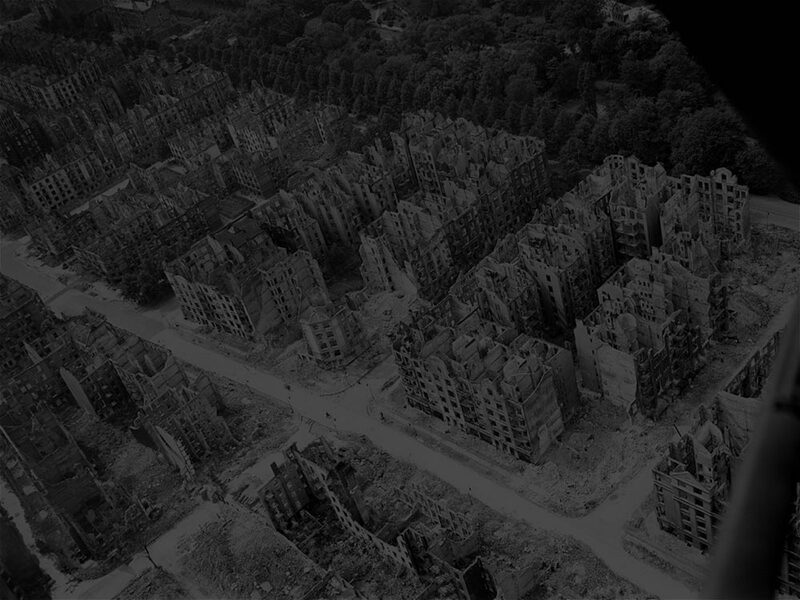 One exhibit consists of pictures of the ruined city spaces of Warsaw, Dresden, Hamburg and Coventry, placed side by side. This mode of presentation stresses the similarities between the places, and also between their inhabitants who share the experience of bombing and endure similar living conditions in the ruins. The experience of the ruins is not a specifically German one, nor a specifically British one, but it is a European and indeed a human experience. While the Second World War divided the world into different blocs fighting each other, the postwar years of 1945 to 1949 pave the way to a rapprochement between former warring parties which terminated in the creation of the European Union. A second interesting aspect of the exhibition is the emphasis it places on culture in general, and, specifically, on the figure of Goethe. The huge Tischbein painting of Goethe dominates the whole exhibition. The replica of the gate of the Buchenwald concentration camp, which lay just outside of the Goethean city of Weimar, evokes the question of how all the cultural traditions represented by Goethe could collapse and how events like the Second World War and the Holocaust could occur in Germany, thus implying a failure of culture in view of Nazism and war. Nevertheless, Goethe became extremely important again for Germany after the war. He was Germany´s best-known author, a world author no less, and, it was the figure of Goethe which facilitated the building of a new German identity since Goethe’s work allowed Germany to reconnect with the international community after the war. Although German culture appeared to have failed before and during the war, it nonetheless was a source of hope after 1945, and played an important role in the German reconstruction. Goethe´s significance in the postwar era is further underlined by his presence in the new German rubble literature, represented in this exhibition by Paul Celan´s “Todesfuge”, as Celan´s use of the name Margarete may be a reference to Goethe´s “Faust”. In his podcast “One Nation under Goethe”, Neil MacGregor describes the unifying effect of the German poet, and I think that this is an effect which is not only visible in the eighteenth and nineteenth century; Goethe remained as a unifying figure in the twentieth century, when Germany was reinvented and recreated after the Second World War.